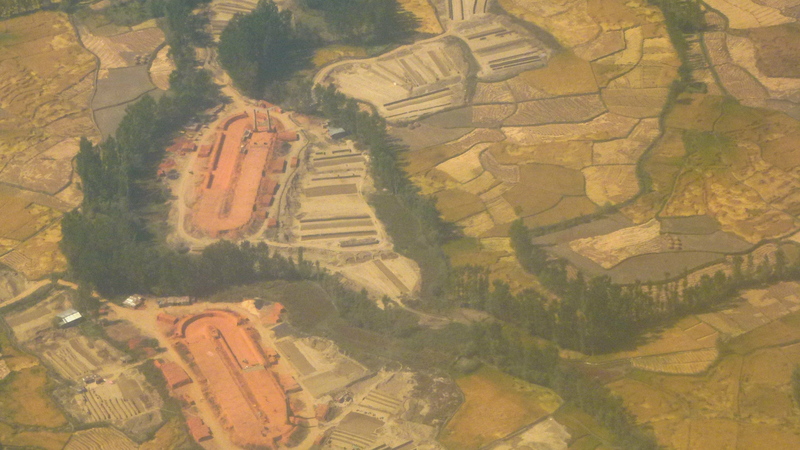 The flight to Kashmir from New Delhi was a wonderful experience of constantly changing panoramas. Below and to the west were the unending great plains of northern India. 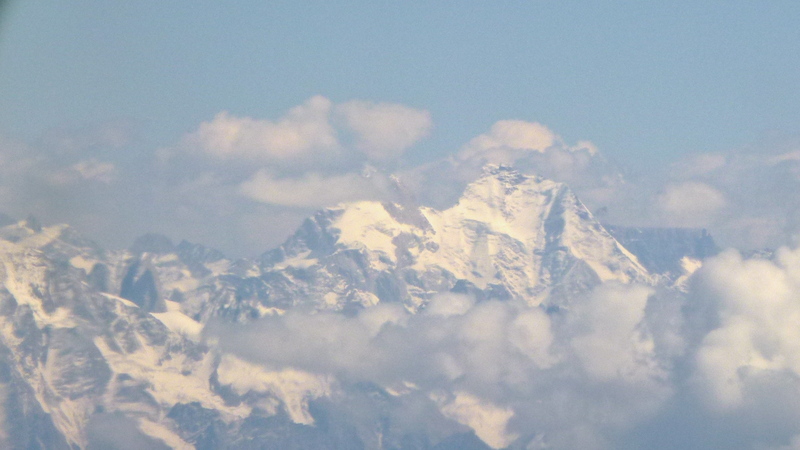 To the east rose the mighty Himalaya. 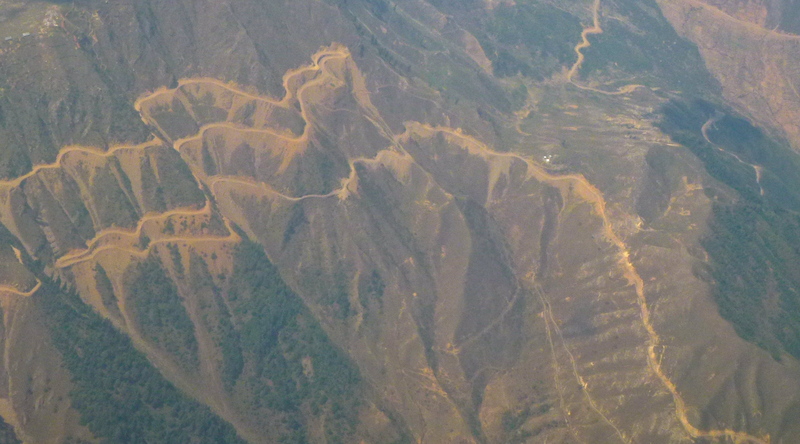 From the air it’s easy to see the almost impossible switchback road system that joins the north Indian plains to Kashmir. If we had driven to Kashmir, that would have been our route. Not good! A flight was much the better way to go. 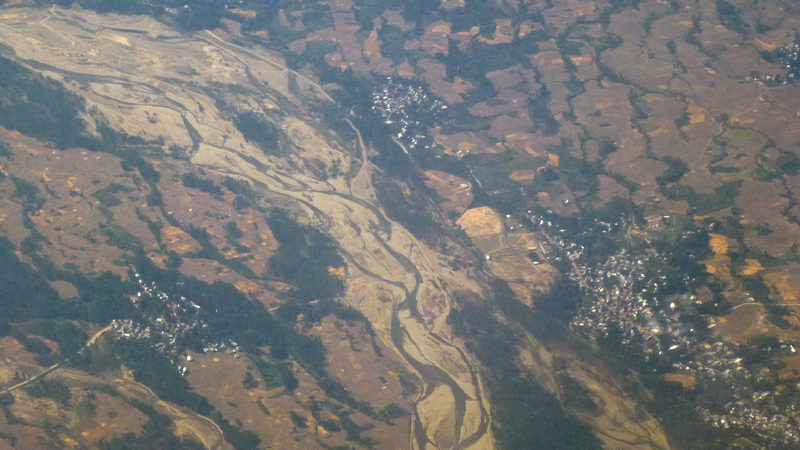 Throughout the flight, we enjoyed the vision of braided rivers, villages and rice fields. It was a wonderful kaleidoscope of earthy colours – a great introduction to Kashmir. Long bridges are needed to connect villages across wide rivers that would be full of rushing waters in the rainy season. Farm lands, golden with harvest, and orchards of fruit trees filled the valleys. 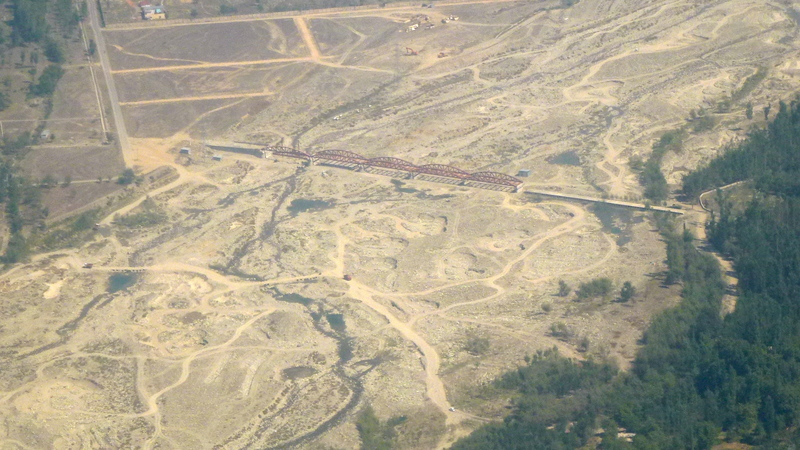 Several ‘fields’ of hand made bricks were visible from the air. 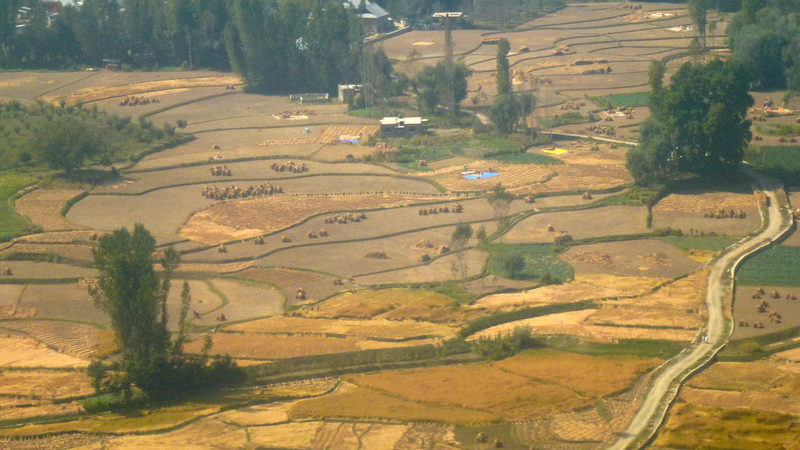 The rice harvest was underway in the fields spread out below us. Narrow, dirt roads connected fields and villages. 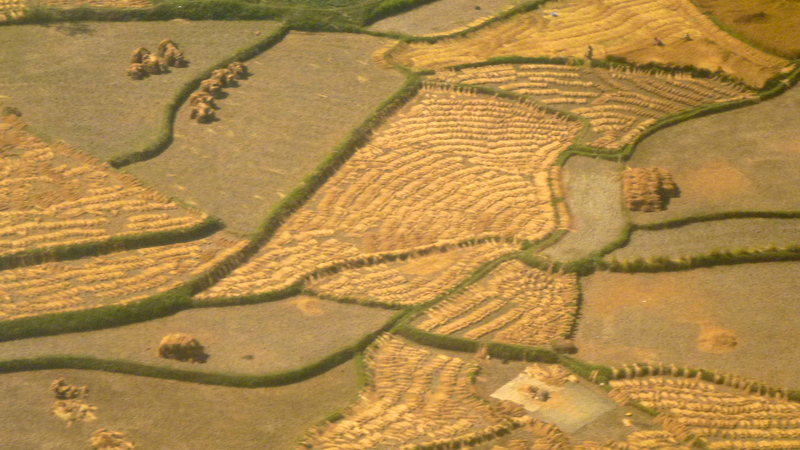 As we flew lower on the approach to Srinagar, rice paddies made fascinating abstract patterns. All too soon the flight was over. It was time to fill in entry forms and see what Kashmir held in store for us. and your views are nice for new viewers. Thanks! It is an impressive site!